This is my favorite text on racing tires. 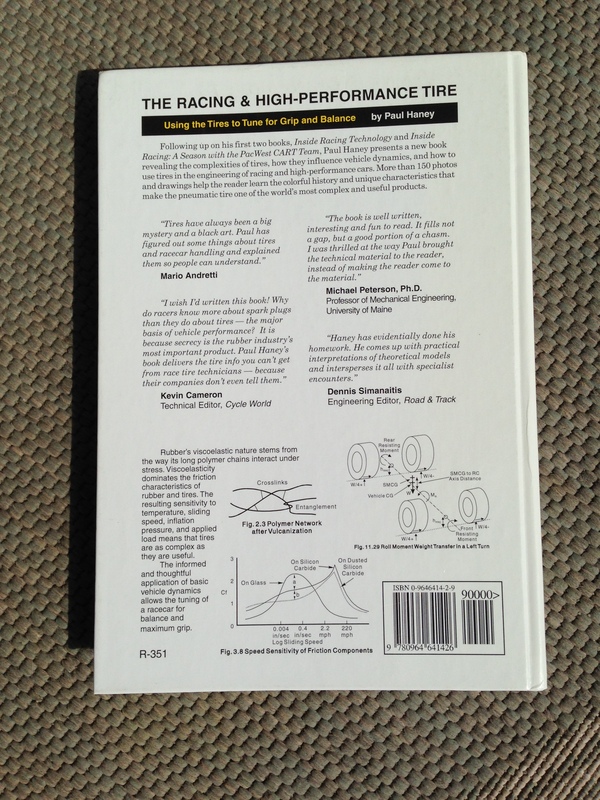 Actually, this may be the only text I’ve ever been able to find about racing tires! I like a couple of the quotes from the back cover. “Why do racers know more about spark plus than they do about tires – the major basis of vehicle performance? It is because secrecy is the rubber industry’s most important product. 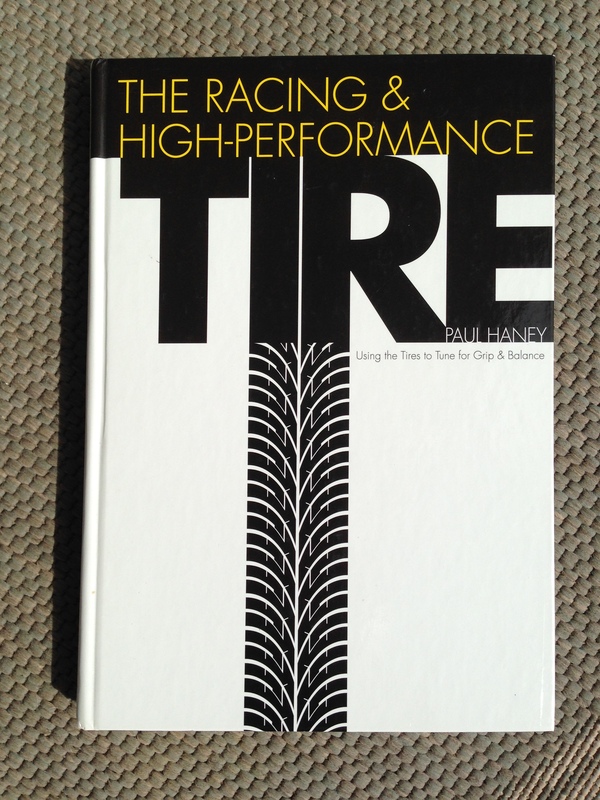 Paul Haney’s book delivers the tire info you can’t get from race tire technicians – because their companies don’t even tell them.” Kevin Cameron Technical Editor, Cycle World. Well, there you have it. As suggested by Mr. Cameron, I too knew next to nothing useful about tires before reading this book. As stated by Mr. Peterson, the book did indeed fill in a chasm in my knowledge. The book is well, well worth the read. I learned a lot. That said, don’t expect to come away from this book knowing how to select your next set of killer tires. Unfortunately, the technology keeps changing and as indicated by Mr. Cameron, the tire companies don’t seem to go out of their way to share their secrets. Make it easy on yourself and participate in a race class with a spec tire 🙂 But seriously, I learned a lot from this book and you never know, maybe somewhere in there is an “unfair advantage”.